Archives for Product Types Archives for J-O | Prime Guitars | At Prime Guitars we take pride in our service and products. Need to sell your gear? Need to upgrade to a new Gibson? Maybe a vintage Mcnaught? We've got you covered! Stop in today! 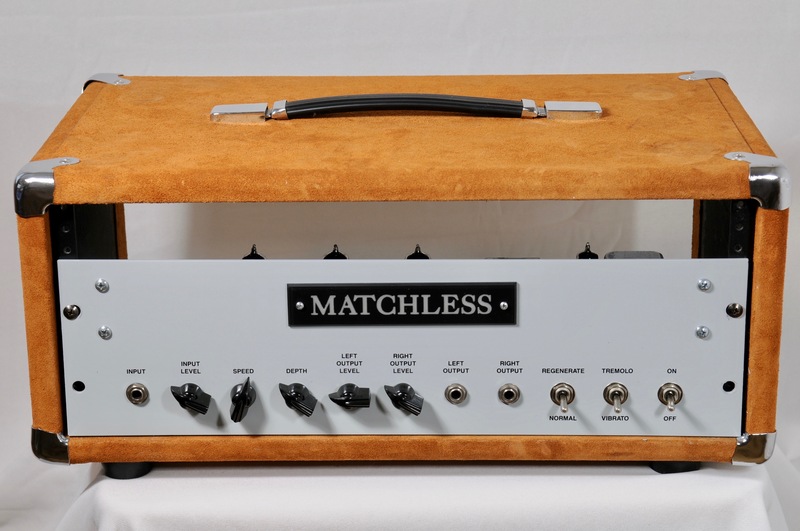 Original series MATCHLESS TV-1 Trem/Vibrato unit. This tube driven masterpiece is sought after because it’s the best ever produced. Hand created and in excellent nonsmoking ungigged condition fresh from a collection. This is the rack mount version and it comes with a suede rack case as a free gift. Comes only with what you see here (EXCEPT IT DOES HAVE A POWER CORD). Works and sounds wonderful! Don’t waste your time on crappy pedals when you can have the most 3D glorious Trem/Vibrato available anywhere. Vintage 1967 Marshall JMP head in VG Condition. I’m sure most would grade this example higher for condition because as you can see it is clean. I’ll go with VG and let the pictures do the talking. I’ll start by saying I am not a vintage expert. 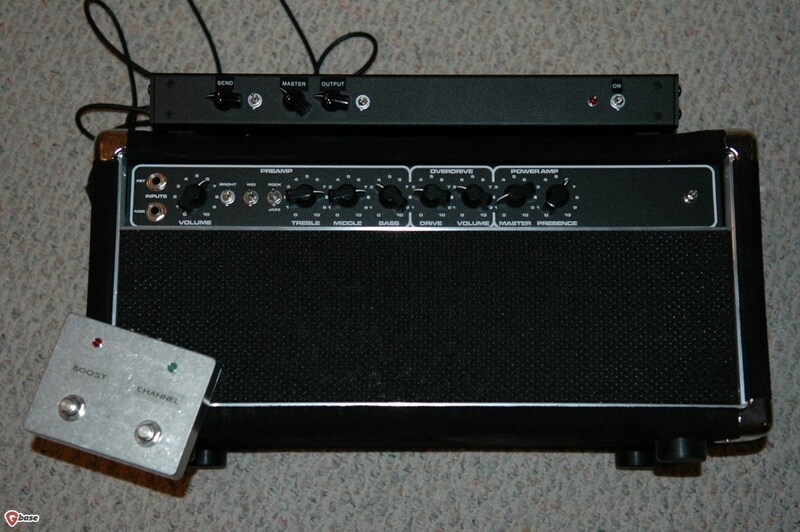 I purchased it and was told it had original tolex & iron….my tech confirmed this. Not certain about the logo but believe it to be original (not promising). You can see some of the screws have been replaced. It has had maintenance and recently my tech replaced the plug socket because those old ones just become very unstable and we don’t want to risk anything with a prime example of a vintage amp. Really amazing amp. Some folks like to crank every knob all the way up and let ‘er rip. Some like to mess with the dials until they get just the right woody tone and sustain. What I can tell you is try EVERYTHING on this amp. I mean plug into the low input and crank it…WOW….then the high output and turn 1/2 way…also a WOW. Turn the Treble and Presence up and get that freaking searing Marshall crush. Dial back the tone controls and you get the organic edible lush thickness. Just realize this is an instrument. Try lots of settings. You will find endless inspiration here. Jump the channels….try them unjumped. No one setting is ‘it’ with this particular amp. You can literally reinvent yourself with it. Sadly I am moving in a different direction so after much self doubt I realize this belongs in the hands of someone who will enjoy it regularly. Oh let me tell you …it LOVES different types of preamp tubes…try LOTS and get more different tones. Also….you will just smile at the way it handles different cabs and speakers. Again, like a whole new amp every time. Lastly….if you like a few pedals this will also be a platform that allows them to work lovingly WITH the amp and not fight it. Have to say there is a reason these 1967s are particularly sought after. 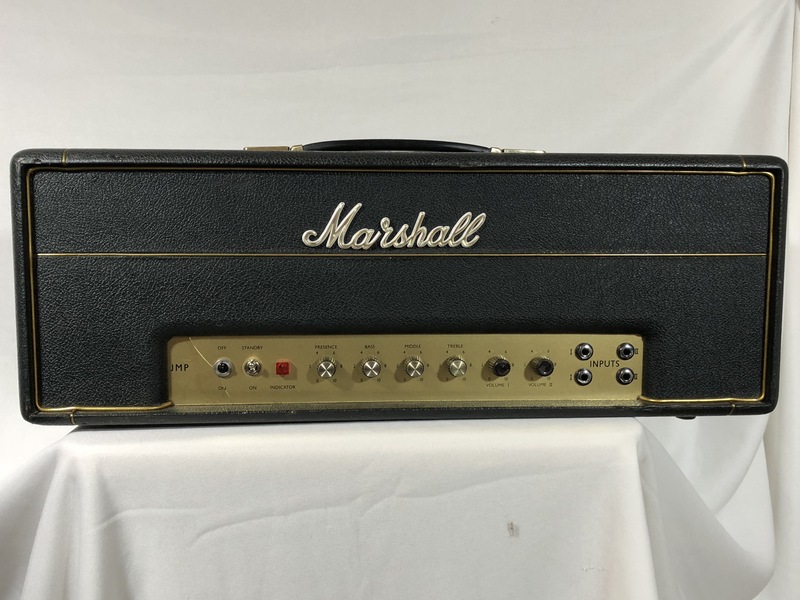 Think about it…for about the same price (maybe a bit more) of a modern copy….you can have a 1967 Marshall JMP. Think it’s too loud?….it doesn’t say 50 on it anywhere does it. Never promised 50 watts. These are just not as loud as people think they will be. They are not. My tech says most are in the mid-30 watt territory. If you believe certain things are meant to be cared after…then this is your chance to participate in caretaking for a historic piece. Your turn. It is set from ,my tech and ready to serve you well. Authorized Dealer for MARK KANE AMPS! Dumble & Trainwreck style amps. Mark will work with you 1-on-1 to achieve a voicing that suits your playing. Heads and cabs available. Custom built usually 8-10 weeks with a VERY reliable turnaround. DUMBLE: Various Voicings including RF. TRAINWRECK: Rocket, Liverpool, or Express. You will get the amp you lust for made for your specs at less than the price of a stamped out production ‘soon to be outdated’ version.